You have a physical electronic circuit board on-hand but do not have the circuit design files? You do not have any PCB Gerber drawings files, for your PCB production and circuit assembly. You want to reproduce the circuit board (PCB), but you do not have the blueprint, or the blueprint is missing. Send us a photo of your electronic circuit board that you want to copy. We can assess the PCB copying for you. Photos of your circuit board. Description of the board’s application. Reason for copying the board. Contact us today for your PCB enquiry. Looking for an engineering service to copy your PCB board or electronic circuit locally in Singapore? PCB cloning service enables you to replicate the same copy of electronic circuit board that you want. For a simple electronic circuit, copying the PCB circuit board is not too difficult. If the circuit involves intelligent controller, cloning should be the last resort that you should opt for as a solution for your engineering or business challenge. Evaluate all the Components on the PCB board. Trace out the component connection. Document the schematic of the connection trace. Draft a new PCB layout. Mass production for the copied PCB electronic circuit. All the components on the PCB have to be evaluated. This step is the determining factor in classifying the cloning work to be simple or complex. Passive components like the resistors, capacitors and inductors are usually simple to source and purchased. Active components like transistors, diodes or IC chip may be harder to source for the exact part number. This is especially if the component’s package size is small. Part number may not be laser engraved on the component’s packaging. Usually, a marking code (normally about 2 to 5 alphanumeric code) is represented on the top or bottom of the package instead of the full part number. Using marking codes to source for the component part number can sometimes be quite challenging, taking a very long time. For cases where a component cannot be determined, the next step will be to determine the component from the schematic being traced out from the components’ trace connection. An experienced electronic design engineer should be able to tell the classification of the component, and hence able to deduce the exact part number. The component may also be narrowed down to a close compatible alternative. In the worst scenario where the alternative replaceable component is not possible, the electronic designer will have to base on the specification and function of the board to re-design a portion of the circuit to replicate the function in your original circuit. This is also why it is important to provide our design engineer with the details of your circuit functionality. By knowing how your circuit function we are able to recover the function by using alternative design. For detected IC chip that is a microcontroller or memory components, the difficulty level can become much higher. Besides the hardware circuit evaluation, the engineer also has to dig deeper into the firmware (source code). It is rare where the firmware on the chip is not protected, but there is still a chance that it can be copied out. Cloning of microcontroller chip involved in reading out the machine codes (firmware or program) from the internal EEPROM memory. Reading the microchip may not be successful if the manufacturer locked up the EEPROM to protect their codes from being copied. Click here for more information on how we can help you to clone your microcontroller chip. Tracing out the component is a tedious process. 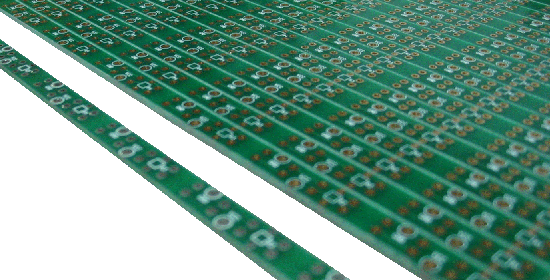 For single layer PCB board, tracing the connection is quite simple. Visual tracing of the components is enough to trace the connection. Double layer board is not as simple, but it is still a possible task. Tracing of the component connection may be more difficult using visual when the via (connection between the top and bottom copper layer) is being hidden under a component. The connection can be evaluated with a multimeter to check for connectivity. Multilayer board is almost near to impossible to trace if the board contains many components. There will also be buried via which cannot be easily detected visually. In some cases, X-Ray is needed for the trace. Multilayer board makes connection tracing very challenging. 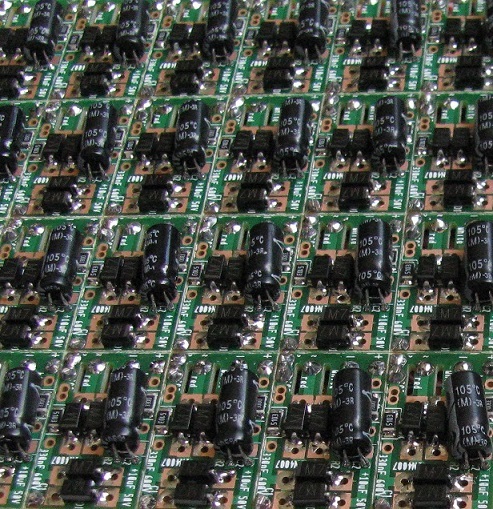 PCB cloning involving a controller will be more time consuming than designing the circuit from scratch. This also means that the cost will be much higher. For copying circuit involving a controller on the circuit board, you should consider seeking an electronic engineer or an electronic design company to evaluation the development of the electronic circuit that you need. Get a quotation to understand the cost to develop the solution from scratch instead of copying it. In some situation, electronic circuit development work can also be very costly. This is especially true for designed circuit deployed for a complex application. 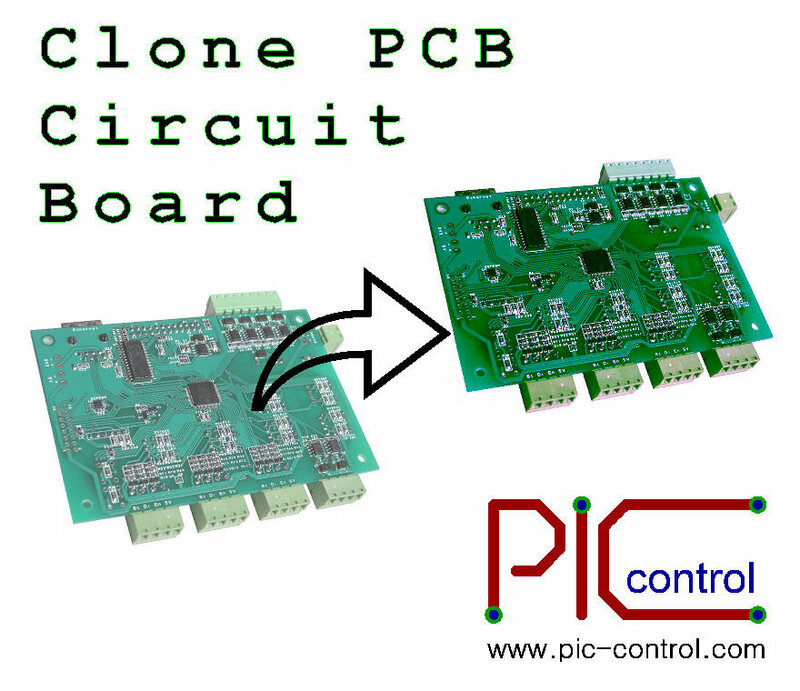 In this case, you will probably have no other choice but to copy PCB board through a local PCB cloning service provider. The replicating process for a complex electronic circuit is also known as reverse engineering. Reverse engineering is more like a work of art. The work requires the engineering brain of an experienced electronic design engineer, and also the creative mind of a detective. The process requires a lot of thinking and searching. It is like trying to solve a puzzle. You may like to visit this page for reverse engineering of an electronic circuit board. Or check out his web page for our shared resource for reverse engineering work. Click here to find out more about the workflow for copying your circuit board. Copying PCB is not a cheap solution especially if your board is complex. For a board that contains a microcontroller IC chip, it is considered a complex board. For the complex board, copying may not be as simple as it sounds. There is a fairly high chance that it needs a reverse engineering process instead. If a new equipment is not expensive, you should seriously consider changing the whole equipment. For a simple board (without a microcontroller or microprocessor), there is a much higher chance of copying directly. If you would like to seek consultation regarding electronic circuit copying or cloning, feel free to contact PIC-CONTROL. The reason that you want to copy the board. 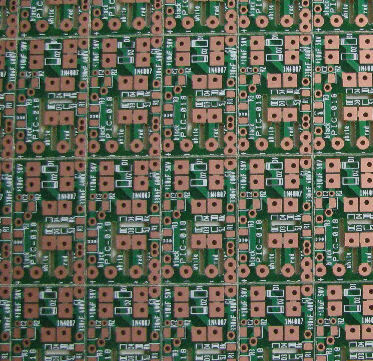 Photos of the PCB board that you want to copy. The description of the board use and application. Send in your enquiry to our sales email address. We may reject your enquiry if the background information of your project is insufficient.